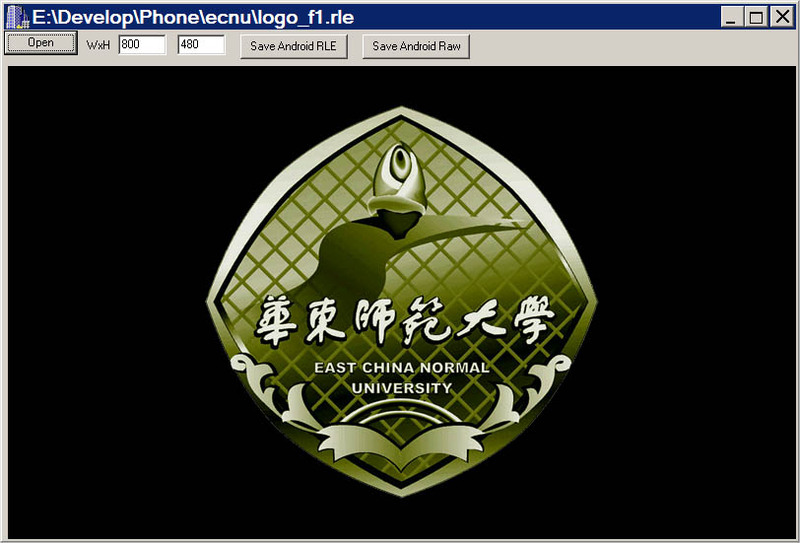 Introduction to make customized Android ROM via tools from this page. 1. Boot img packer/unpacker: bootEdit.exe (GUI). Packing and unpacking boot.img and recovery.img. Used for: (1)modify the boot command line, such as not to send debug info to serial; (2) modify tool file system. Usage (in Chinese): download ppt. 2. Ramdisk (cpio.gz) packing/unpacking tool: mkRamDisk.bat, dRamDisk.bat (call GnuWin32 gzip.exe and cpio.exe, included in the dowload package). 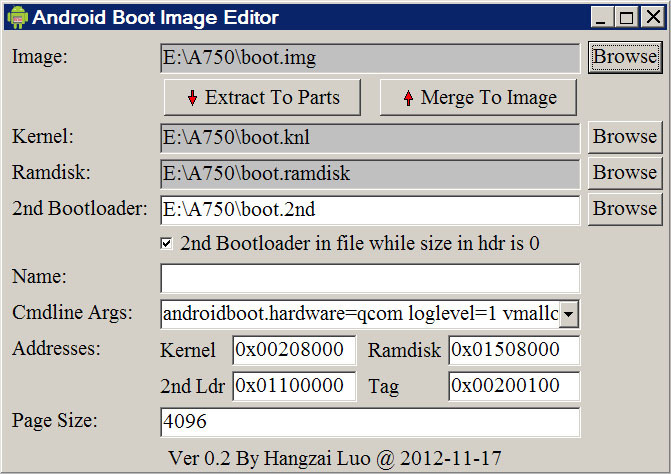 Packing and unpacking root file system in boot.img and recovery.img, used to modify initlogo.rle and init.rc. See usage via text editors or run it under cmd window. 3. YAFFS2 packer/unpacker: unyaffs.exe, mkyaffs2image.exe. Used for packing/unpacking system.img and data.img. Causion: android's system.img has two special requirements: (1) access rights, owner and group of some files are fixed; (2) some files must be symbolic links. Under Windows, these information cannot be stored in the file system. As a result, many version of unyaffs.exe and mkyaffs2image.exe cannot handle android ROM correctly. They generated damaged system.img. The tools in this page are fixed to make sure they preserve the requried information during packing and unpacking. The tool uses an internal table to fix access rights, owner and group of files. Symbolic links are stored in cygwin symlink file format. The unyaffs.exe and mkyaffs2image.exe are fixed to support this format. The source codes does not requre Linux or Cygwin/MinGW to compile. I use Borland C++ Builder 6.0 to compile them. If the previous tools cannot work, try these two. By a simple test they can run without Cygwin. UNDER Cygwin, they can make bootable system.img. This is a image viewer supporting common image formats (JPEG, BMP, PNG and more) AND rle, rgb565. It can also store files in rle or rgb565 formats. 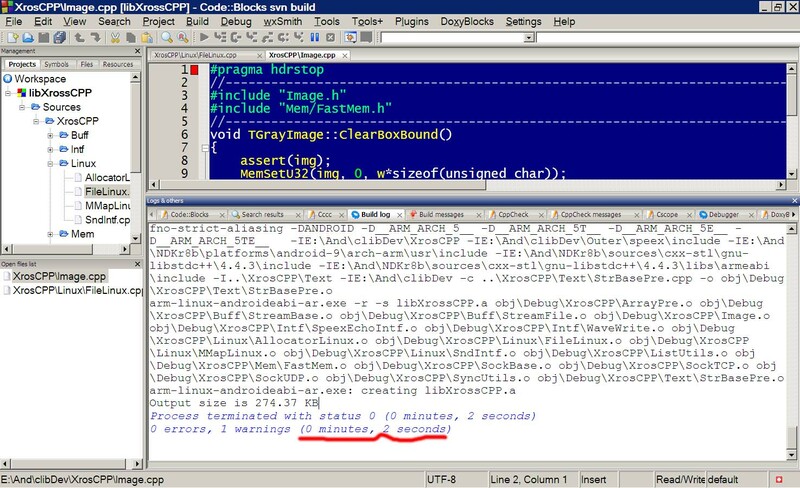 Introduction to Android NDK Develop via Code::Blocks: downoad ppt. Code::Blocks svn8248, with config files. Please note the config files has absolute paths, therefore you need to fix them before use. (1) Do not use complex Google's make scripts, very fast. Full rebuild a 10 thousand projects in 2 seconds. (2) Do not need Cygwin. Code::Blocks is around 50MB and download for run. (3) Good IDE for pure C/C++ programs, support Windows. (4) Develop static library, dynamic library and console programs in IDE, no need to adjust complex make script. Includind zergRush.c, rageagainstthecage.c, psneuter.c, mempodroid.c.